WOOLSAFE approved maintenance product for wool carpets and rugs. Biodegradable, phosphate-free, contains eco-surfactant. Gentle pH safe for all types of carpet, including wool and stain-resistant nylon. Encapsulation technology leaves no sticky residues to attract soil. Contains natural lemongrass, eucalyptus and tea tree oil fragrance. Incorporates encapsulation technology to help prevent sticky residues that may attract soil. Mild pH is suitable for applying to most carpets and rugs. Available in a 5 litre concentrate and 1 litre ready-to-use spray bottle. Clear liquid with natural lemongrass and herbal fragrance. Always pre-test carpet for colourfastness with diluted solution in an inconspicuous area before proceeding. Vacuum carpet thoroughly, to remove dry soil. Treat spots and stains with Natural Carpet Spotter according to label instructions. 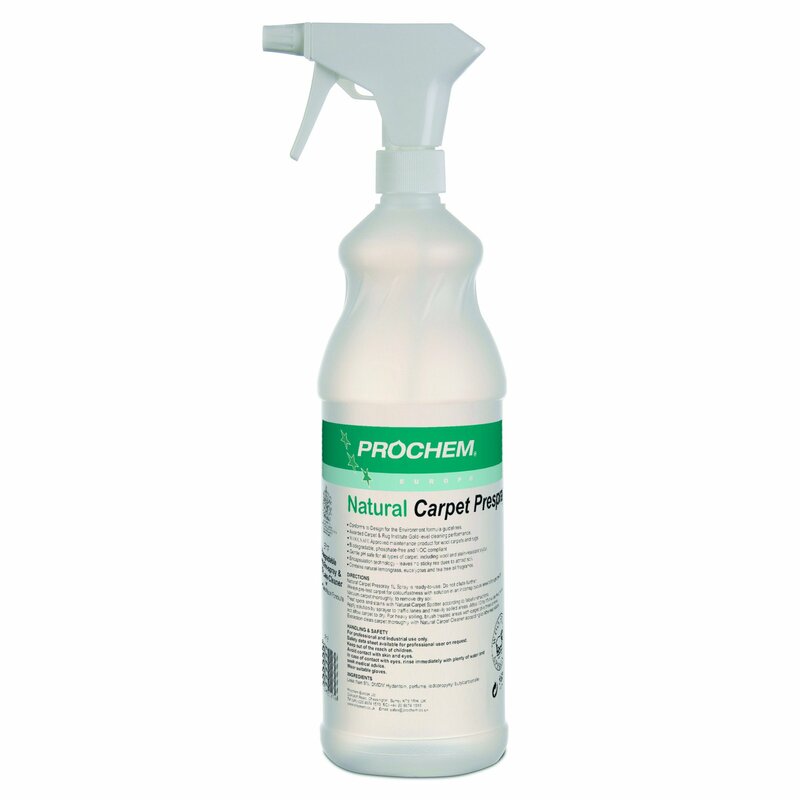 Natural Carpet Prespray 1L spray is ready-to-use. Do not dilute further. 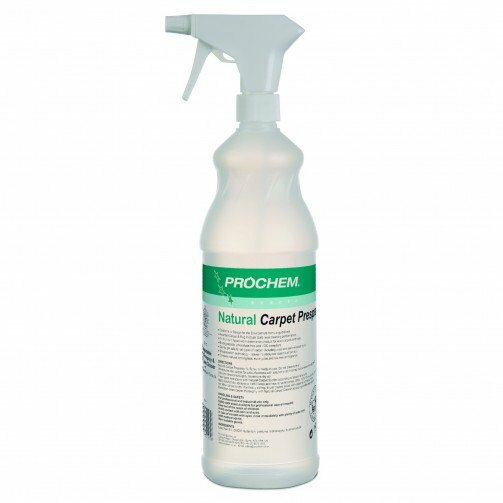 Mix 100ml Natural Carpet Prespray Concentrate per litre of water (1:10). Apply ready-to-use or diluted solution by sprayer or carpet pressure sprayer to traffic lanes and heavily soiled areas. Allow 10 to 15 minutes dwell time, but do not allow carpet to dry. For heavy soiling, brush treated areas with carpet pile brush or rake. Extraction clean carpet thoroughly with Natural Carpet Cleaner according to label instructions.